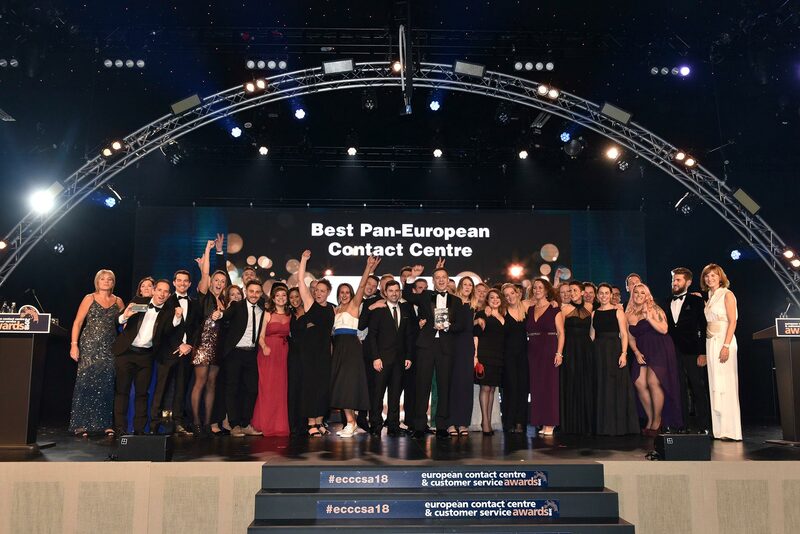 Reading Amy Scott’s blog (“A short history of judging”, a potted history of The European Contact Centre & Customer Service Awards) made me realise that next year (should I be asked back) I will have been judging for the Awards for 20 years. In all that time, I have judged many different award categories, dissected entries with dozens of fellow judges, witnessed the “fancy dress years” (favourite memories – the Publisher in full Hannibal Lecter garb and a team of management consultants dressed as the Tracey Brothers from Thunderbirds) and consumed 18 black tie dinners! And over those two decades, I have enjoyed witnessing the explosion of technology and the increase in the channels open to customers and the way that has challenged contact centres and shaped the award categories we have today (whatever did happen to the Best Written Correspondence Team and the best use of Calligraphy in Financial Services awards?). However, there has been one constant, one thing that has kept me saying “yes” when asked to judge – the people who enter the awards. Industry Awards are given to companies, but they are won by people. The people who work hard every day to make their operation a success; the people who believe their team are worthy of an award; the people who are prepared to stand in front of a judging panel and passionately tell their story. Yes, as a judge I want to understand what triggered an organisation to kick off an initiative, to have them explain the journey they’ve been on and to talk me through the results (and more importantly show me the business case). And yes, I enjoy hearing these stories and having my eyes opened to new and innovative thinking. But it’s the passion, enthusiasm and energy of the individuals that I love the most. Because when someone is showing you that they really love what they do and they can’t wait to share it with you, then you’re quite happy to spend 2 hours going nowhere in Istanbul traffic, you don’t mind driving 6 hours in a hire car through Northern Spain, you’re happy to share your bus across the Southern and Northern Irish borders with a few chickens and you’re even prepared to go to Essex (which as a Kentish Man is not to be taken lightly). So, if you’re proud of your operation then bring your passion and enthusiasm to the table and enter the only industry award worth having (though I might be biased). Good luck to this year’s finalists; you’ll find me on the Judges’ Table, just like it’s 1999.